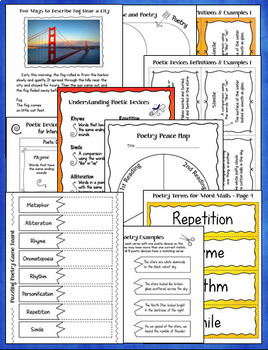 This Poetry Unit Bundle is a huge collection of poetry lessons, activities, printables and task cards that will make it easy to teach your students how to read, write, and LOVE poetry! 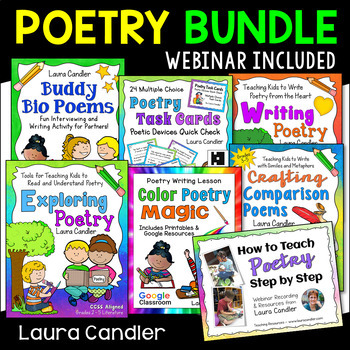 This bundle also includes a poetry webinar with inspiration and step-by-step directions for teaching an entire poetry unit! 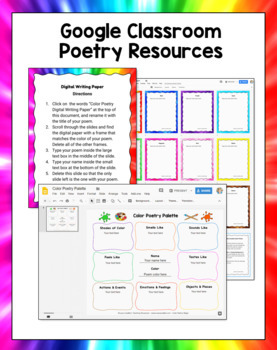 Use the links on this page to preview the products in this bundle, and return to this page to purchase the entire bundle at more than 30% off! 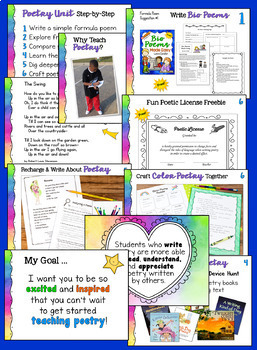 The webinar included in this bundle, How to Teach Kids to Love Poetry (Even If You Don't), comes with a certificate for 90 minutes of professional development, pending the approval of your principal.